Join us on Saturday, May 18 from 10am – 2pm for our sixth annual Tazewell Comic Con. In our brand new elementary school program, girls will learn basic computer science concepts in a fun and creative way. Guided by our New York Times Bestseller, Learn to Code and Change the World, Clubs spend time reading, discussing their ideas, working on activities and challenging each other to be brave. See our calendar for our Spring and Summer meeting times. Our middle and high school Clubs encourage girls to impact their community in a positive way through code. 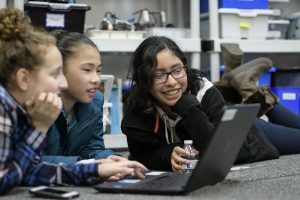 Girls are able to engage in fun and simple online coding tutorials, build community through interactive activities, and learn about inspiring role models. 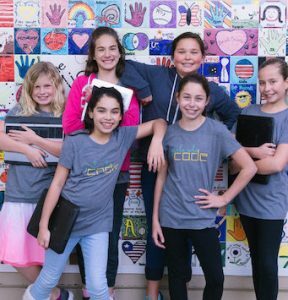 The girls then work in teams to build a culminating Girls Who Code Project, where they use coding skills to solve a real world problem they care about. Request an invitation to register here. Stop by the library to pick up the 2019 Reading Challenge or print a copy for yourself. Make a commitment to diversify and expand your reading for the New Year! Don’t forget to turn in your 2018 Reading Challenge by Tuesday, January 8, 2019! Remember, the challenge does not have to be complete for you to bring it back! Patrons who read 6 to 15 books will be entered into a 3rd place prize drawing. 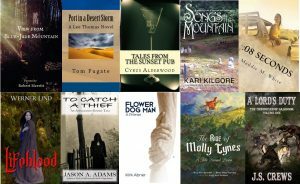 Patrons who read 16 to 30 books will be entered into a 2nd place prize drawing. Patrons who read 31 to 52 books will be entered into a 1st place prize drawing. Patrons who read 5 to 10 books will be entered into a 3rd place prize drawing. Patrons who read 11 to 20 books will be entered into a 2nd place prize drawing. Patrons who read 21 to 32 books will be entered into a 1st place prize drawing. 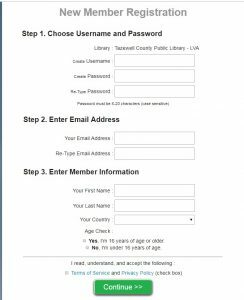 The Tazewell County Public Library has recently added a new, wonderful resource: Universal Class. 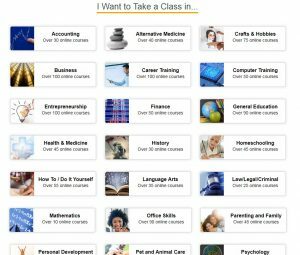 With over 500 continuing education courses in a variety of fields, this free resource is the perfect resource for home school students, parents, job seekers, or anyone just looking to acquire a new skill or hobby. Available 24 hours a day, you will be able to learn in multiple ways at your own pace. When completing courses, you will receive continuing education courses (CEUs) by finishing exams and assignments. CEUs are globally recognized. If you would simply like to take a class without assignments, you can video audit a class. 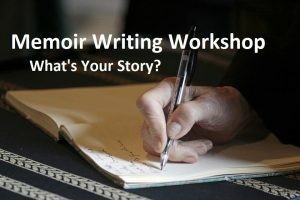 Enter your email, create a username and a password. 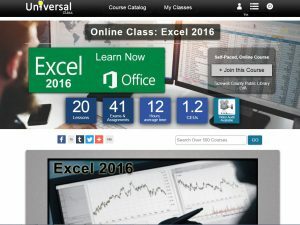 With over 500 courses in Universal Class, there are classes for everyone. ABCs of Algebra, American Revolutionary War, and Essay Writing. Now, decide if you want to take the class in Video Only Mode or Normal Mode. 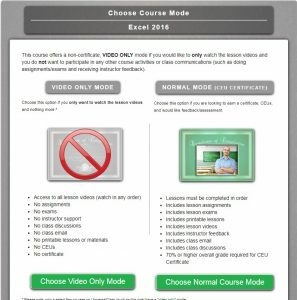 If you only take a class in Video Only Mode, you will not receive any CEUs. If you take a class in Normal Mode, you must complete assignments and lessons in order to receive any CEUs. Still have questions about Universal Class? Call the Tazewell Library at (276) 988-2541 and ask for Adult Services Librarian, Chris Wilkes. Beginning Monday, July 2, 2018 TCPL will be making changes to Saturday hours and night hours. This is due to the recent budget cuts in Tazewell County which has resulted in a reduction of staff. 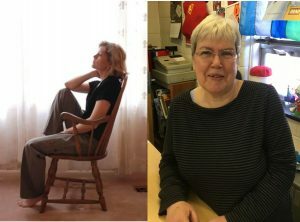 Bluefield Branch: Instead of opening at 9:00 a.m. on Tuesdays, it will be open from 11:00 a.m. to 8:00 p.m.
Richlands Branch: Instead of opening at 9:00 a.m. on Mondays, it will be open from 11:00 a.m. to 8:00 p.m.
Tazewell Main: The library will close at 5:30 p.m. on Mondays Instead of being open until 8:00 p.m. The library’s hours will remain the same on Thursdays, being open from 9:00 a.m. to 8:00 p.m.
All three TCPL libraries will be open 4 hours on Saturdays instead of 8 hours, and will be open from 9:00 a.m. to 1:00 p.m.
We are sorry for any inconvenience this causes anyone. We hope this change will not be a permanent one, and that we will be able to restore any cut hours when our county economy improves! The Tazewell County Public Library in Tazewell will be starting new weekend library hours after Labor Day Weekend. Starting September 12th, the Tazewell library will be open all day on Saturdays – 9:00 a.m. – 5:30 p.m. and will be closed on Sundays. This schedule will continue year ‘round, which means there will no longer be reduced hours during the summer. The libraries in Richlands and Bluefield will keep their current hours of being open 9:00 a.m. – 5:30 p.m. on Saturdays and closed on Sundays. This decision is based on the survey we conducted in the fall of 2014 in which more people preferred having all-day Saturday hours than having the library be open a half-day on both Saturday and Sunday. In that survey we also heard from our communities that it would be ideal for all libraries in the TCPL system to have more open hours overall. We will be working towards that goal!